Megan completed a Bachelors in Exercises Science at Rockhurst University in Kansas City in 2012 while on a 4 year softball scholarship. She then remained in Kansas City to complete her Doctorate in Physical Therapy in 2015. Since completing her education, Megan worked in a private practice setting in Seattle, Washington for one year before returning home to North Delta. Due to her extensive background in competitive sport, Megan demonstrates a special interest in sport rehabilitation. Megan played softball for the Delta Heat A organization as well as playing competitive volleyball and soccer in high school. Currently, Megan is also working with the Coquitlam Reds Premier Baseball organization as well as high level softball players. 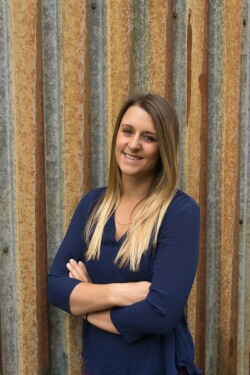 Megan has a special interest in providing injury prevention, rehabilitation, and in season management. Although Megan has a special interest in working with athletes, she enjoys providing services for all patients including post-op recovery, injury prevention, ICBC patients, and WCB patients. Megan uses both a manual and exercise based approach to therapy and understands the importance of integrating a variety of techniques for different populations. Megan is constantly working to further her education through a variety of courses including manual techniques, exercise enhancement, and Functional Dry Needling through Kineticore. When not in the clinic, Megan enjoys maintaining an active lifestyle through recreational sports, hiking, and working out as well as spending time with friends and family. All Rights Reserved Copyright © 2019 Forte Sports & Orthopaedic Physiotherapy | Designed by NetClimber Web Design Inc.